“Pocket Ruler 2.0” can switch live stile camera image and image stored in your device. 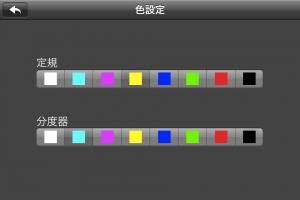 By tapping camera button ( , ) on top right side of screen, you can switch background image (live stile camera / image saved on you device). 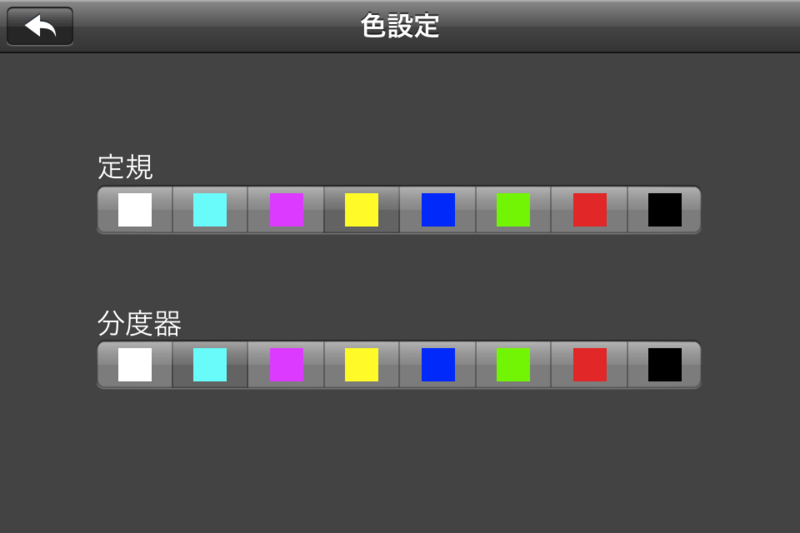 ※Pocket Ruler + 2.0 (no advertising version) can save background image. 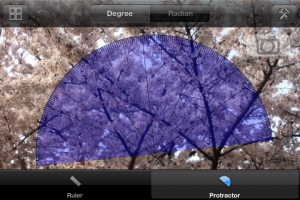 By tapping and drag, you can move ruler and protractor. 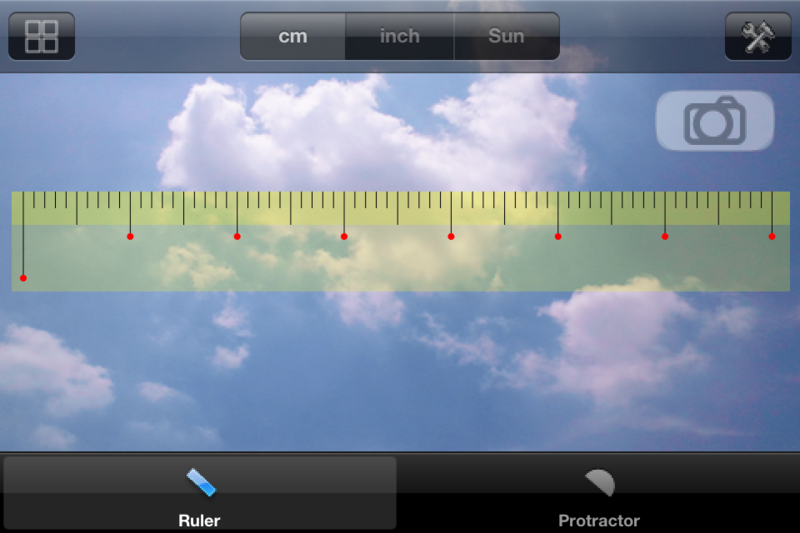 By tapping and rotating by 2 fingers, you can rotate ruler and protractor. 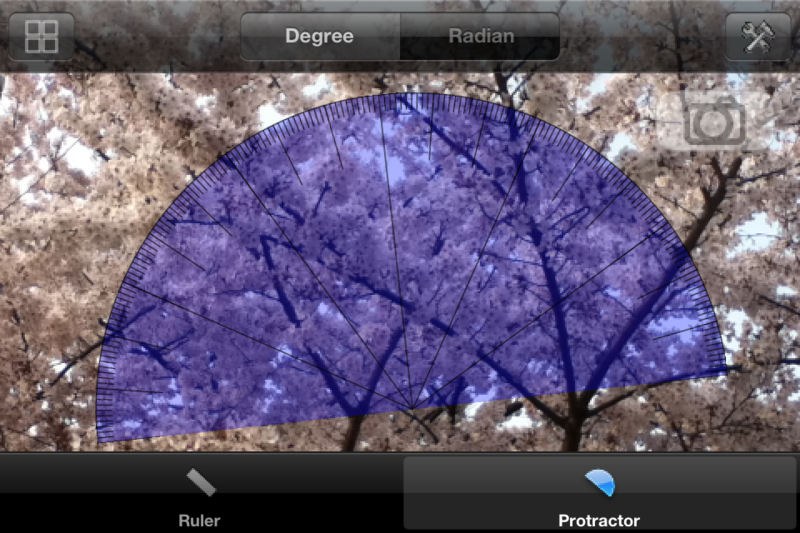 You can select color of ruler and protractor.